Home / Verbal / Senocalm - IBS Relief From Gas Related Symptoms - Top Stress Busting Tips. Senocalm - IBS Relief From Gas Related Symptoms - Top Stress Busting Tips. Senocalm understands how embarrassing, unpleasant and often debilitating symptoms such as painful cramps, bloating, constipation and/or diarrhoea can be. It can have a detrimental effect on people’s lives impacting everyday activities such as socialising, travelling and even work. These symptoms may arise because the digestive system and mind are linked. Emotions, such as stress and anxiety, can therefore affect our gut health, potentially triggering a flare up. Irritable Bowel Syndrome (IBS) can affect up to one in five Brits at some stage of their life, and twice as many women as men. It’s not always easy to diagnose and it can be difficult to pinpoint the triggers which commonly include stress, anxiety and certain foods and drinks. 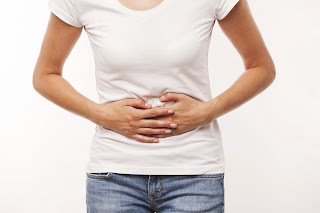 IBS is a common, long-term condition of the digestive system. It can cause bouts of stomach cramps, bloating, diarrhoea and/or constipation. The symptoms vary between individuals and affect some people more severely than others. Symptoms tend to come and go in periods lasting a few days to a few months at a time. 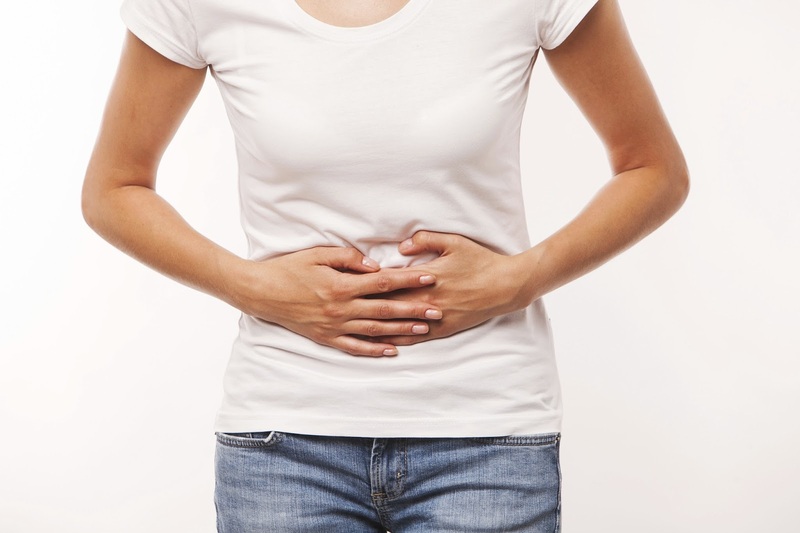 IBS symptoms can be triggered by certain foods (e.g. fatty and processed foods) and drinks (e.g. alcohol, caffeine and fizzy drinks) as well as stress and anxiety. To launch Senocalm, IBS Relief from Gas Related Symptoms, the brand has teamed up with meditation and mindfulness expert, Emma Mills to give you coping mechanisms to help alleviate stress whilst at home, work, or on-the-go and in turn, assist in minimising the risk of digestive flare-ups. Emma Mills’ Top Stress Busting ‘Gutfulness’ Tips. Top Stress Busting Tips from meditation and mindfulness expert Emma Mills to help prevent IBS stopping you in your tracks. Play with opposites in self talk: In your mind play with the opposites to reduce negative thoughts which can have an impact on your stress levels and could trigger your IBS. For example: ‘I feel anxious vs. what if I don't have to feel anxious’, ‘I’m stressed vs. I’m at peace’, ‘I’m all uptight vs. but I can be relaxed’. 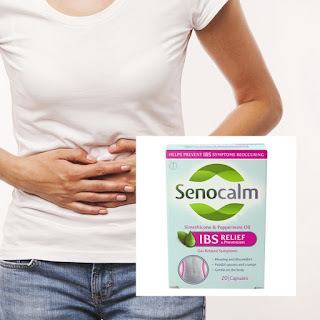 Senocalm for IBS Relief from Gas Related Symptoms Contains anti-foaming agent simethicone to help people with IBS relief from IBS gas related symptoms, including bloating and discomfort whilst also helping with painful spasms and cramps. The senocalm capsules are easy to swallow, thanks to their small size and also help prevent IBS Symptoms reoccurring whilst relieving the symptoms you may be feeling. (maximum capsules per day - 9 capsules). Children aged 6 to 14 years: 1 capsules. (Maximum capsules per day - 3 capsules). Taking a dose with a glass of water, either after a meal or before bed. Senocalm is not intended to relieve constipation or diarrhoea, it works extremely well to relieve your uncomfortable symptoms whilst being gentle on the body. Suffering with IBS does not have to be an embarrassing condition to live as Senocalm helps you get back on track and to face any task that needs completing. Easy to take, compact to carry in your bag and settles your symptoms quickly. 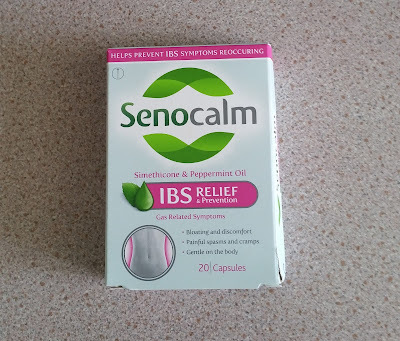 Senocalm IBS Relief From Gas Related Symptoms is available to purchase from Boots, Tesco, Asda, Morrisons, Sainsbury, and independent pharmacies. For further information visit Senocalm. X Neil.